The Tin Men will be part of a show at The Mint in L.A. on Saturday Sept 14 at 9pm. Also with Paul Sanchez and the Rolling Road Show featuring Arsene DeLay and Antoine Diel. More info HERE. Tin Men Back On Wednesdays at DBA! 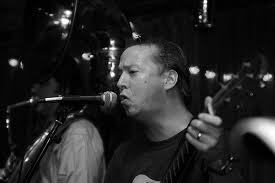 The Tin Men resume their long-standing residency at DBA this Wednesday September 7. Show goes from 7-9. No cover, no smoking--no fooling! Well, perhaps a little fooling...Plus the legendary Walter "Wolfman" Washington and the Roadmasters start at 10!!! Hey Pittsburgh people...the Tin Men will be playing at the Pittsburgh Winery on Friday July 19 at 8pm. You can purchase tickets HERE. The Tin Men have a brand new CD and it will be available for the first time WEDNESDAY APRIL 10 at DBA. It's called "Avocado Woo Woo" and was produced by the legendary John Porter (Buddy Guy, BB King, The Smiths...). Show starts at 7. Tin Men Headed To France! We are leaving on Wednesday to do a 2 week run of shows around the city of Lyon. We will be hosted by the Zozophonic Orchestra, who have been so kind as to set this all up. Vive L'étain! Yes it is actually happening...the Tin Men are going in the studio at the end of August to make our long-overdue 3rd studio CD. This time around we will be working with producer John Porter and we couldn't be more excited. Come join us for a tune-up session at the Saturn Bar Thursday Aug 16 at 10pm. The Tin Men will be at the Oshkosh Waterfest Thursday July 12 at 6pm. Also appearing are Marcia Ball, The Alex McMurray Band and the Davis Rogan Band. 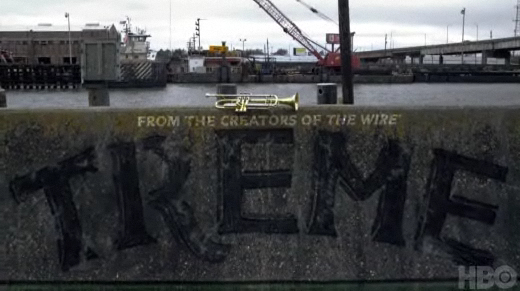 Last nights episode of HBO's "Treme" featured Alex's composition "The Day After Mardi Gras Day" in the closing credits. Congrats to Alex! Or better yet buy the whole "Banjaxed CD". The Tin Men are traveling to New York City to appear at the Association of Performing Arts Presenters showcase at The Bitter End. Here's the lineup.